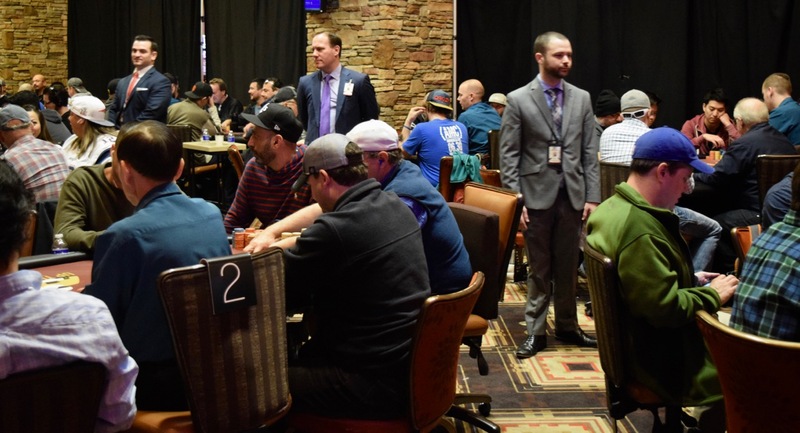 64 players remain in #TVWSOPCircuit $898,500 prize pool Main Event and play has moved to hand-for-hand on the money bubble. Two minutes come off the clock for each played hand. The clock starts back up once one player has been eliminated, the remaining 63 cashing and playing down tonight to the final table.